CONFERENCE - As a strategic partner of the USA, Romania considers its mandate at the rotating EU presidency as an opportunity to promote a positive agenda of cooperation between the EU and the USA, Romanian president Klaus Iohannis said on Thursday at the annual Transatlantic Conference staged by AmCham in Brussels. Iohannis went on to say that annual trade exchanges between the two entities exceed one trillion dollars creating 7 million jobs in the USA and 5 million in the EU. On Thursday and Friday the Romanian official is attending the European Spring Council where he is expected to urge the EU members to carry on efforts towards the consolidation and streamlining of the single market in all its dimensions. Several other issues are also high on the summit's agenda, such as the consolidation of Europe's economic base, climate change, the future summit with China as well as ways of fighting disinformation. The European leaders are also to discuss a request by Prime Minister Theresa May for postponing Britain's leaving the bloc until June 30th. PROTESTS - Trade unionists from Bucharest's underground picketed the building of the Transport Ministry in Bucharest on Thursday. They are denouncing the authorities' indifference towards the safety issues present in some of the trains. Transporters have again rallied in downtown Bucharest for their second day of protest. After the protest rally staged by FORT Federation on Wednesday, the Confederation of Authorized Operators and Transporters COTAR has mounted its own protests during which taxi drivers in Bucharest are calling on the authorities to amend the present legislation to be able to regulate alternative city transportation, which they consider disloyal competition. MIGRATION - 4.4 million migrants entered the EU countries in 2017, a figure, which includes migration inside the EU, data released by Eurostat show. The statistical office of the European Union registered 2.8 million migrants in the 28 member states from outside the union as well as 1.9 million people who already were in a member state and migrated to another. At the same time, 3.1 million migrants have left a state in the EU. More immigrants than migrants have been registered in 22 EU countries. The number of emigrants exceeded immigrants in six countries, Bulgaria, Croatia, Latvia, Lithuania, Poland and Romania. The largest number of immigrants was reported by Malta (46 per 1,000 inhabitants. Luxembourg reported the largest number of emigrants in 2017 (23 per 1,000 inhabitants). VISIT - EU Commissioner for Regional Policy Corina Cretu on Friday will visit Bucharest to discuss investment priorities in the next EU budget. Corina Cretu will attend the presentation of the country report as part of the European semester and the conference titled "Investment priorities for Romania 2021-2027". According to a Commission release, Corina Cretu said Romania should direct its European funds to innovation, SMEs, and the transition towards a low-carbon economy, improving transport networks and employment and social inclusions measures. rescEU - The consolidate civil protection mechanism, rescEU, aimed at strengthening collective response to natural disaster across the EU, has come into force on Thursday, the European Commission reports. To ensure a better protection of citizens, the European Parliament, the EU Council and the Commission reached an agreement in December last year to consolidate the current civil protection mechanism. Under the new mechanism member states will be able to access an additional response capacity in case of disasters, medical emergencies, chemical, biological, radiological and nuclear incidents. Europe has been affected by scores of disasters in recent years, which left hundreds dead and produced damages in the billions of euros. MOLDOVA - The Moldovan Parliament has convened in its first plenary session on Thursday, despite the lack of a Parliament majority. Attending the meeting was the pro-Russian President Igor Dodon. The new Parliament comprises 35 Socialist MPs, 30 Democratic MPs, 26 MPs representing the ACUM pro-European alliance, 7 MPs representative of the SOR populist party and three independent MPs.  According to Radio Chisinau, the Democrats and Socialists have invited the ACUM alliance for negotiations over a Parliament majority, but the representatives of the opposition said they refused to side with oligarchic and anti-European parties.